Today SkyBiometry introduces cloud-based Face Detection and Recognition API. At the core of the product is one of the worlds best algorithms for the detection and recognition of faces that is successfully used in many commercial products around the globe. 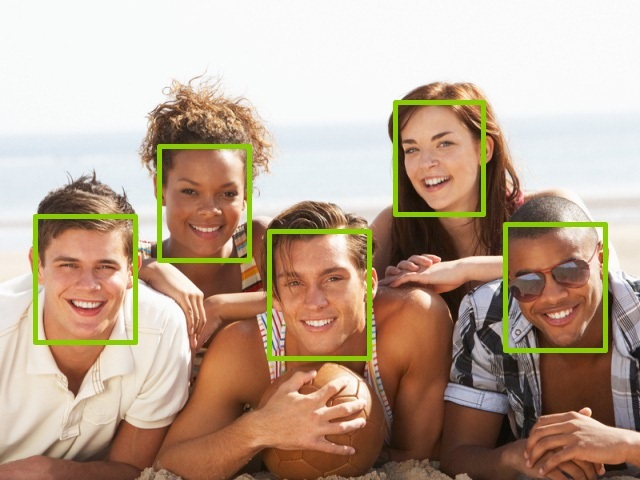 We think face.com team did a great job at creating a REST-like API for face detection, face attributes classifications and face recognition. We decided to help the developers who invested time and money in creating applications which use this soon to be discontinued API. Our product is intended to be a drop-in replacement for your applications. However, SkyBiometry uses completely different computer vision algorithms for face detection and recognition and, therefore, the results may differ. Even if you haven't used any other cloud-based face recognition API yet it is very easy to explore the capabilities and get started. It's free! Follow easy and straightforward instructions and start enjoying new cloud face detection and recognition API provider. We have a NuGet package ready for Visual Studio developers and we will have more client libraries ready in the coming weeks. Note that classification of some facial attributes is not implemented yet. If you need them desperately, please, let us know and we will do our best to implement them as the first additions to already used algorithms. SkyBiometry is committed to improve the product and make new cloud-based biometric products, but we need your feedback. It will help us prioritize development of features that you need. Feel free to provide it here or on our user voice site.